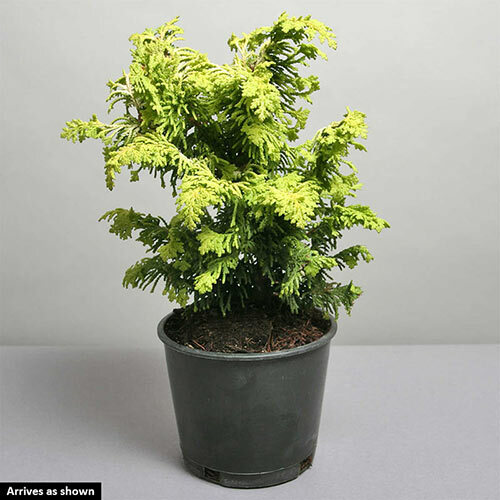 This arresting selection of Hinoki displays classy, arching sprays of golden, fern-like foliage. Each unique, flattened branch tapers to a point, just as a fern frond does. 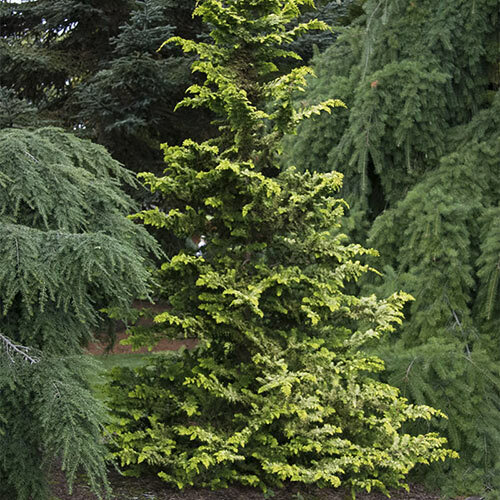 Use the intermediate size conifer to brighten the garden throughout the year and especially during gray days of winter. 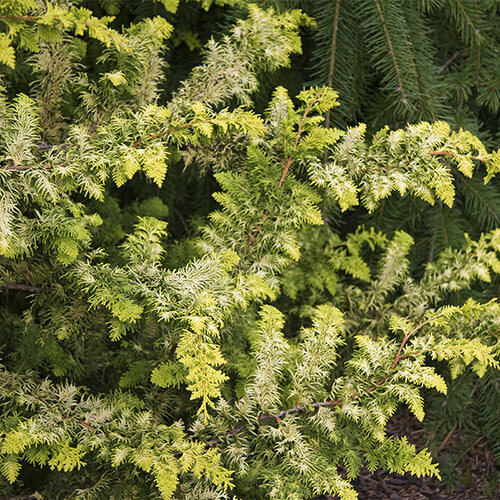 Provide full sun and ample moisture to achieve the brightest color, but provide some afternoon shade in hot summer climates. Foliage TypeArching sprays of goldern, fern-like foliage.